It’s a fundamental truth Alexander Blanc (GMP 8) learned at an early age: food brings people together. As a child growing up in Russia, Blanc remembers helping his mother cook so much food on his birthday that they used their apartment balcony to refrigerate leftovers. Years later, as cofounder with Giulio D’Erme (GMP 8) of CulinaryOn, Blanc is building a business through an expanding group of culinary studios that host parties, classes, and corporate events. 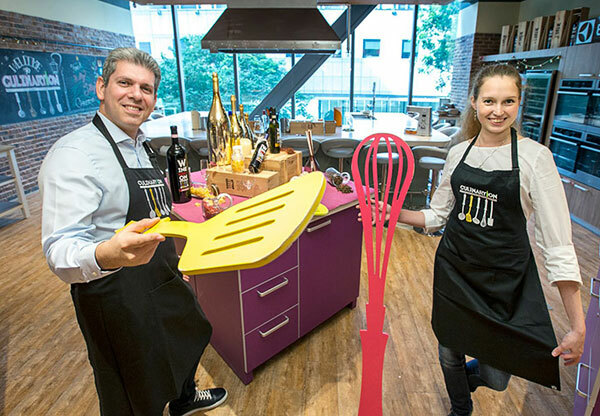 Launched in Moscow, CulinaryOn has expanded to Singapore, with plans to open in Europe in 2017 and other locations throughout Asia. “In a restaurant, we sit on either side of the table, but when we cook, we’re all together, and when we put on aprons, we’re no longer from different companies, we’re from the same group,” Blanc told The Business Times of Singapore. Acknowledging the importance of getting (and keeping) good talent, Blanc cited CulinaryOn’s employees as its “number one client” and offered five suggestions for keeping them engaged.